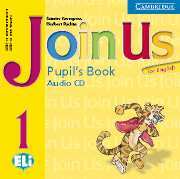 Join Us for English is a fully updated new edition of the highly successful Join In. 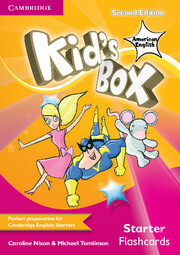 This five-level course for young learners provides a motivating and enjoyable way to learn English. Join Us for English has been thoroughly restructured for optimum clarity and ease of use, and includes new artwork, topics, cartoon stories and songs. The revised course ties in with Common European Framework guidelines: It includes cross-curricular content and creates opportunities for self-assessment and portfolio building. It includes new culture pages, 'Project Time' and writing activities from level 2 onwards, plus a separate Language Portfolio for each level. The writing syllabus is specially designed to develop this skill in a fun and meaningful way. In the higher levels 'Look!' sections highlight key grammar structures which are then summarised in a 'Grammar Focus' at the end of the Pupil's Books.